Viet Nam, the Host Country of the 38th ASEAN Tourism Forum (ATF) to be held in Ha Long, is all ready to make a lasting impression on its 1500 delegates. They comprise of ministerial, NTO, official meeting delegates, as well as TRAVEX suppliers from across all 10 ASEAN member states, international buyers and media pools. ATF TRAVEX, renowned for being the largest and most diverse showcase of ASEAN suppliers, will play witness to ASEAN travel trade industry exhibitors from Brunei Darussalam, Cambodia, Indonesia, Lao PDR, Malaysia, Myanmar, the Philippines, Singapore, Thailand and Viet Nam, connecting with hosted buyers and media representatives from around the world. TCEB AND CHIANG MAI PROVINCE PARTNER TO ENCOURAGE ECO-FRIENDLY MICE AND SUSTAINABLE EVENTS CITY. Thailand Convention and Exhibition Bureau (TCEB), a public organisation, joined hands with Chiang Mai Province and educational network partners recently to host a competition to improve sustainable event planning. Together, partners hosted a design contest under the “Thailand’s MICE Industry Cares for the Environment” project, to stimulate awareness of sustainable MICE event management by showcasing products and services that make events more environmentally friendly. 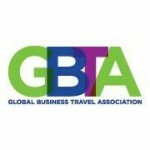 The Global Business Travel Association (GBTA), the voice of the global business travel industry, is pleased to announce the launch of registration for GBTA Convention 2019. Next year’s Convention, the largest, most comprehensive annual gathering of business travel and meetings managers, meeting planners, procurement professionals and suppliers in the world will be held in Chicago, August 3-7, 2019. The Tourism Authority of Thailand (TAT) along with representatives from the tourism-related public and private sectors hosted a special welcoming ceremony to the 10 millionth visitor from China, Ms. He WeiXin, who arrived in the kingdom on board Thai Airways International (THAI) flight TG613 from Kunming, which touched down at Bangkok’s Suvarnabhumi Airport at 17.00 Hrs. General Prayut Chan-o-Cha, Prime Minister of Thailand, together with H.E. Dato Lim Jock Hoi, Secretary-General of ASEAN, visited the Thai Airways International Public Company Limited (THAI) exhibition booth at the Thailand Together event for the ASEAN Chairmanship 2019. The Prime Minister and the Secretary-General of ASEAN was greeted by Mr. Sumeth Damrongchaitham, THAI President, senior executives from both THAI and THAI Smile airlines at the Santi Maitree Building, Government House. 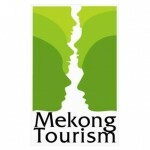 Mekong Tourism launches new visual storytelling campaign ‘Mekong From Above’ to showcase the best aerial photos and videos in the Southeast Asian Subregion. Mekong From Above invites the public to capture and post their best aerial photos and videos from the six-member nation regions to showcase the beautiful life and landscapes of the Greater Mekong Subregion (GMS) in Southeast Asia.